USC Head coach Bill McDonald has his team in the NCAA Championship for the last four years. South Carolina and Clemson will next play in the NCAA Championship in Oregon. Both Palmetto State schools advanced through regional competition and now will have a chance to play for a national title. South Carolina was sharp from the start to the finish of the Tuscaloosa Regional in Alabama. 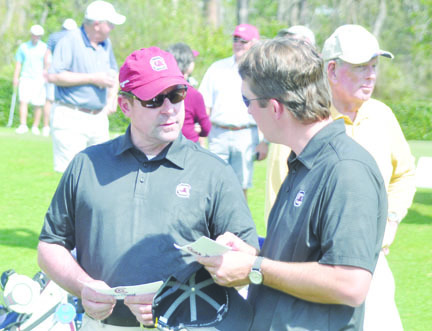 The Gamecocks never fell far from the lead in the regional and finished second to Georgia by four shots. There’s a lot to be happy about this week, and I’m looking forward to getting to Oregon,” said Gamecock Head Coach Bill McDonald. USC had an outstanding spring, but struggled at the SEC Tournament. Defending individual champion Matt NeSmith and the rest of the team did not play like the team that won four tournaments. Matt NeSmith returned to form in the NCAA Regional and finished second. At the NCAA Regional the Gamecocks played like the team that won three tournaments in the spring. NeSmith moved up to challenge for medalist honors at the region and finished in second place. “I couldn’t be prouder of the guys and the way they played. Matt just played some incredible golf, and I’m proud of our freshman, Scott Stevens and how he came out today and gave us an under-par round,” said the coach. NeSmith and Stevens finished the tournament with under par rounds. NeSmith shot 4-under 68 while Stevens was 2-under par at 70 to help the Gamecocks challenge for the top spot. The top-five teams advance from the Regional to play in Eugene Oregon starting on May 27th. 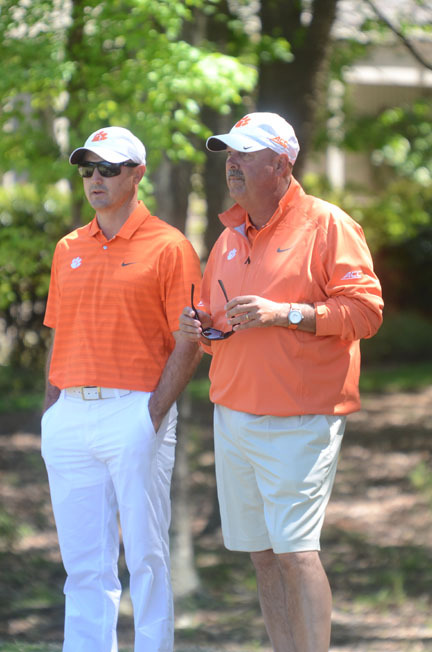 Clemson Head Coach Larry Penley and Assistant Coach Jordan Byrd led the Tigers to the NCAA finals. Clemson had a more difficult time punching their ticket to the finals. Clemson opened play at the Regional in Stillwater Oklahoma with all five players posting big numbers. Clemson shot a 308 score in the first round which included carding a team score of 18 over par on the first nine holes. The Tigers were one of the early finishers and the number looked like trouble. However, as the day went on the difficulty of the golf course showed up on the scorecards of the other teams. The Tigers started the second round in eighth place, three positions out of the automatic qualifying spot. The team improved by seven shots in the second round and climbed to fourth place in the tournament. “The course and the conditions were just stupid hard,” said Head Coach Larry Penley. 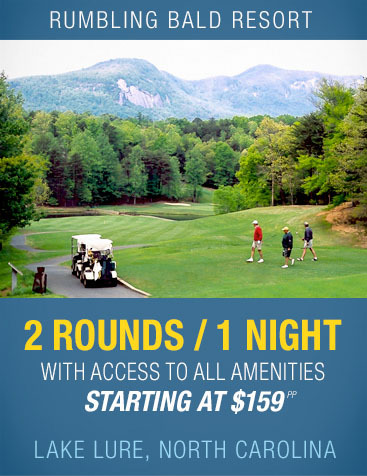 “The wind was blowing 15-20 miles per hour and it rained throughout our first nine holes. It was just a difficult day, but it was difficult for everyone.,” he said. Austin Langdale had the best round for the Tigers with a 2-over par 74. Langdale made an amazing eagle from the rough on the second hole as the highlight of his round. While the Tigers were in good position to finish in the top-five the Tigers didn’t take any chances. The team shot their best round of the Regional and the best round of the final day to lock up the third spot. 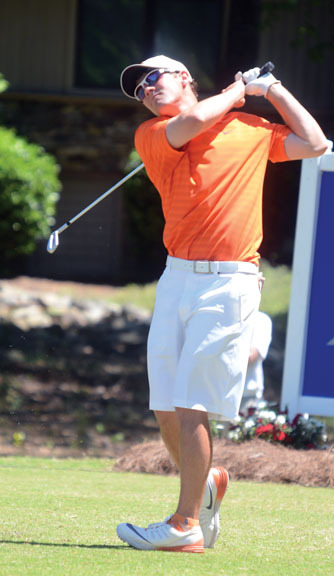 Miller Capps had the best round of the tournament for Clemson. 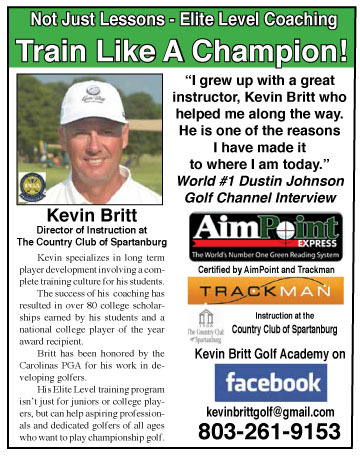 He shot a 2-under par 70 in the final round. Senior Miller Capps finished the tournament with a 2-under par 70 to post the best round by any of the Tigers during the 54 hole event. 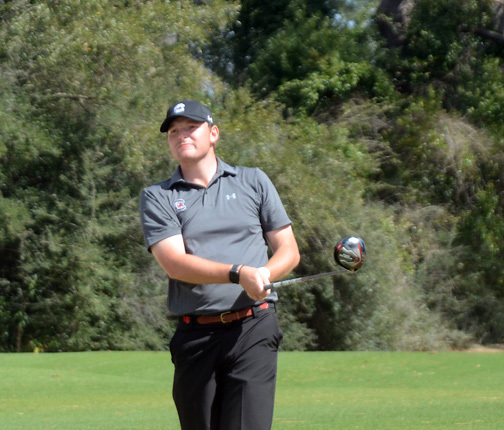 Grad student Stephen Behr shot his best round of the tournament with a 1-under par 71. Behr finished eighth. Stephen Behr finished in a tie for 8th at the Stillwater Regional. “I can’t tell you how proud I am of our seniors. Only five golfers shot under par on Wednesday and Clemson had two of the five. I could tell in the practice this morning that they were focused. The seniors set the tone for the day. Miller Capps played his best golf in a long time today on a very tough golf course,” said Penley. Oklahoma State playing on their home course won the regional with Oklahoma second. Louisville and Purdue joined the Tigers, Cowboys and Sooners to advance to the national finals. 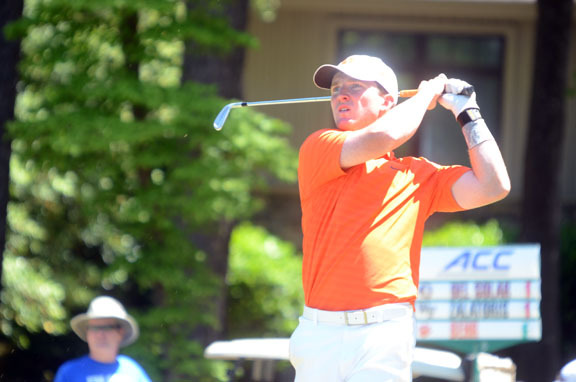 “We had all five guys in the game all day and that was a key,” said Penley “For the first 15 holes today it was as good a team performance as I have seen in a championship tournament in a long time,” concluded the Clemson coach. 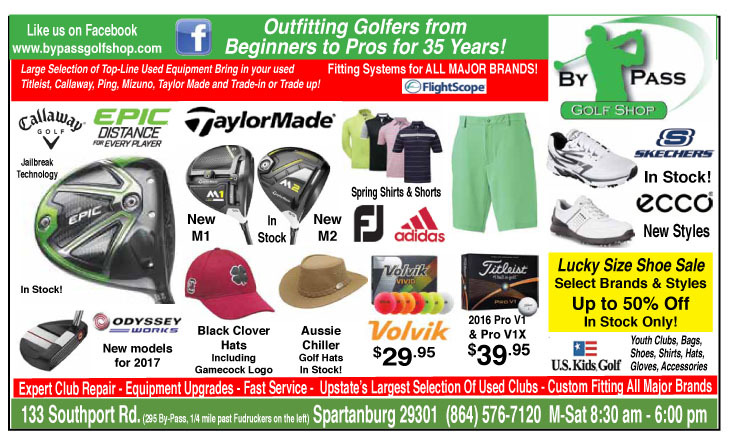 File photos from The Golf Club Newspaper.